The Armenian presence in Europe stretches from London to Larnaca, Lisbon to Lviv; the Armenian Catholic Mkhitarian Congregation is among the most impactful examples of that legacy and this year marks a three-century-long presence in one of Europes most iconic towns. The vaporetto leaves from San Zaccaria to one of the most unique corners of Venice, a testament to the centuries of multi-cultural history of that magnificent city. The unique corner is really an island Isola di San Lazzaro degli Armeni, or the Island of St. Lazarus of the Armenians. This year marks the 300th anniversary of that island becoming home to the Mkhitarian or Mechitarist Congregation. Mkhitar was born in Sebastia (modern-day Sivas, in central Turkey) in 1676. He joined the Armenian Church at a time when it was facing the challenges of a modernising world. Drawn to Western Christianity and its already-established traditions of education and publishing, Mkhitar ran his own printing house in Constantinople (Istanbul), bringing together other like-minded individuals who longed to rejuvenate and invigorate a community at times struggling in the social and political milieu of the 17th century Ottoman Empire. Facing the resistance of the authorities, Abbot Mkhitar and his followers, who established the congregation named after the founder in 1700, spent some time moving from place to place first to Greece, then up the Adriatic before finally establishing themselves on what used to be a leper colony off Venice in 1717. In the centuries that followed, the Mkhitarian fathers had a profound effect on research, education, and publishing in Europe generally, and for the Armenian world in particular. Still today, the monastery they founded continues to produce books; Venice is one of two cities in the world that can boast having published at least one Armenian book every year for three hundred years or more, with just a few interruptions (the other city being Istanbul). Whether as first-time publications of ancient manuscripts, translations of significant European works, or the other way around, the Armenian legacy has been showcased to the European and broader world through the efforts of these monks, and the doors of Europe have likewise been opened for Armenians thanks to their activities. The Mkhitarian Congregation has always served as a bridge, says Father Serop Jamourlian, both for tying the Armenian reality to the European world in terms of scholarship and spirituality, and also as a bridge of universal human values: it is a representative of the East in the West and the conveyor of Western ideas to the East. Perhaps the most significant impact the Congregation has had involves the development of language and identity. It was the Mkhitarian fathers who first published modern dictionaries of the Armenian language. 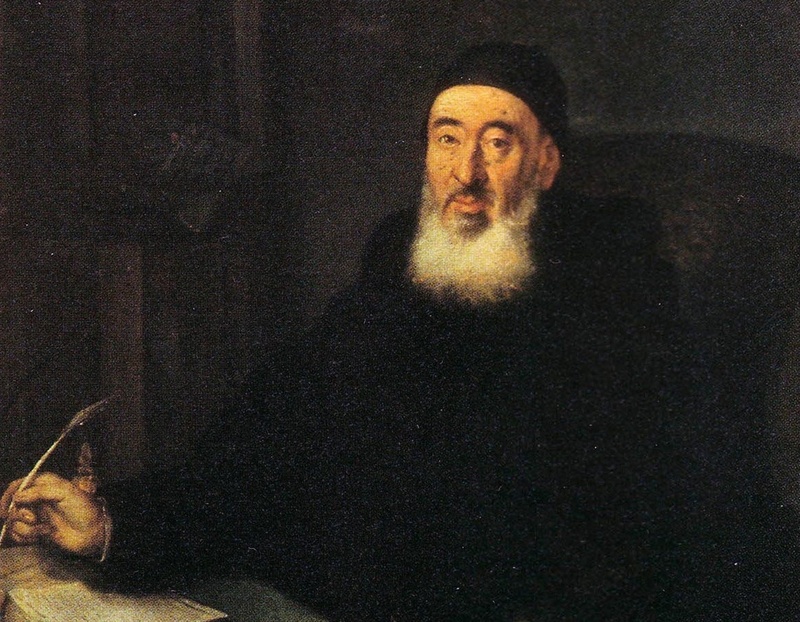 Modern scientific approaches to research and education also owe much to these Armenian priests in Venice, who once upon a time ran a network of some thirty schools across Europe and the Middle East. The reputation of San Lazzaro was so strong that Napoleon Bonaparte offered that monastery special permission to continue functioning even after he shut down other religious institutions in Venice in 1810. A few years later, the islands most famous guest Lord Byron spent some months during 1816-1817 studying the Armenian language. The Mechitarists have suffered some setbacks over the course of their rich history, such as a significant split in the Congregation that led to a second monastery being established in Vienna in 1811. They reunited in 2000. The two had meanwhile carried on Abbot Mkhitars mission diligently. Both Venice and Vienna are known as centres of learning for the Armenian world. Although the Mkhitarian Congregation is not as active as it used to be, with a smaller membership and growing challenges within a generally more secular global environment, it continues to run four schools in places reflecting the footprint of the Armenian Diaspora: Beirut, Los Angeles, Buenos Aires, and Istanbul. A school was established in Yerevan, in the Republic of Armenia, in the year 2007 a good indication of the renewal of Diaspora-Homeland ties since the collapse of the Soviet Union. Special commemorations are planned for September during this 300th anniversary year celebrations alongside the people of Italy and Venice. Father Serop emphasises that their welcoming and hospitable attitude towards the Armenians is based on the experience of many centuries of deep ties. What lies in store for the Mkhitarian Congregation? Father Serop says that the mission has always been and remains, Service to the Armenian nation. PS: If there is anything Armenian in the present world that made me proud of being Armenian then for sure one of these is St. Lazaro Degli Armeni. I visited the place twice and I'll go again. Beside the unique exhibits from Europe, Armenia and the World there is a very special ambience in the place that can't be described with words. Every Armenian and not only should go and see this magical place. Edited by gamavor, 22 March 2017 - 01:35 PM. Hyeforum.com is the truest Armenian forum of it's kind, and today looks like the only one. The Archives here are a treasure. Conversations, arguments, discussions carried on by people, members, cousins never met, and now silent are more valuable than can be put into words. Arpa for one, a relative I never met, but learned to love, reminded me of my Uncle Kevork, with his angle of angle of arrogance and dogged sticking to his truth and love for Armenians and their Culture. Long live Hyeforum it records, it's Library and the family of Hye who brought it together and have kept it alive! God love them. Edited by onjig, 31 March 2017 - 12:54 PM. I didn't mention Vanetsi, are you in touch with him? vadic and amora, have we any way of taping them on the shoulder? Amora and vadic if there is any way of taping them on the shoulder that would be nice. Edited by onjig, 31 March 2017 - 10:26 PM. I believe Arpa used the word "Battos" exact translation of sarma meaning to wrap and "lidtz" for dolma again translation. Venice, itself is one of the most amazing places on Earth in terms of human achievement. San Lazzaro is not the only Armenian point of interest.There are many, - due to the close relationship between Venetian and Cilician merchants. One place not to miss is Collegio Armeno Moorat Raphael. Venice has a well preserved historic Armenian street and a Church of Holy Cross in the heart of the city. Another shocking discovery was the "Armenian graffiti" from 12 c. AD on the columns currently installed at the main cathedral of San Marko, that were "brought" from Constantinople by the Crusaders. Next is the tomb of the last Armenian Queen - Charlotte de Lusignan (actually she was the Queen of Armenia, Cyprus and Jerusalem). I was lucky to have a very knowledgeable guide (a local Armenian guy) whose name I don't remember, but it is a must to have someone as a guide to show you around. VENICE. The Armenian Island celebrates its first three hundred years. It was indeed September 8, 1717 when the monk Mechitar, after earning the estimate of the future doge Alvise Mocenigo, received in concession the island of San Lazzaro, used in the past as a leper and then abandoned. 300 years have passed and the island has never lost its role as a point of reference for Armenian culture thanks to the mechitarist monks who for centuries handed down the founder's message. Before the Armenians. The news of the island of San Lazzaro dates back to 810, when it is home to the Order of the Benedictines. In 1182 a hospice for pilgrims and a church dedicated to San Leone Magno were built. A century later, in 1262, the Senate decided to make us a leper home that remained until 1348 when restoration work began and the island under the jurisdiction of St. Peter of Castello. Leprosized, the island becomes a place to welcome the poor. For a few decades, from 1645 to 1678, the island is occupied by the Dominicans who fled from Crete occupied by the Turks. For a time here weapons are being built to support the war in Morea. Since 1696 it is used to grow orchards, but is slowly abandoned, then blossom in all its beauty with the arrival of Mechitar. Mechitar's vision. A brief appearance of the Virgin Mary, which is celebrated by the Nativity, explodes in the life of the sixteen-year-old Mechitar, guiding the next path. Over the years the dream of a monastic order devoted to the spiritual and cultural elevation of the Armenian people leads Mechitar, born in 1676 to Sabaste of the Armenians, to flee from Anatolia to Morea, and then find refuge in Venice. The monk founded his congregation in Constantinople in 1700 but then flees to Modone, in the Greek Morea ruled by the Serenissima. In 1712, the Ottoman fleet landed on the peninsula, forcing Mechitar and its monks to flee to Venice, where there is already a consolidated Armenian community in San Martino, predominantly merchants. Having too many religious congregations in Venice, a decree prohibited the admission of new ones, but not in the islands. When Mechitar arrives at San Lazzaro, there is only a small church and a ruined building with some rooms, wrapped in pompous trees. A ruin, but for those like him wandering without finding peace, that handkerchief is finally a home where to put roots. Great dreamer, but also practical, the monk rolls his sleeves and begins to design the monastery. Today's structure is still designed by Mechitar, reinforced on the banks a fortnight ago. The realm of culture. 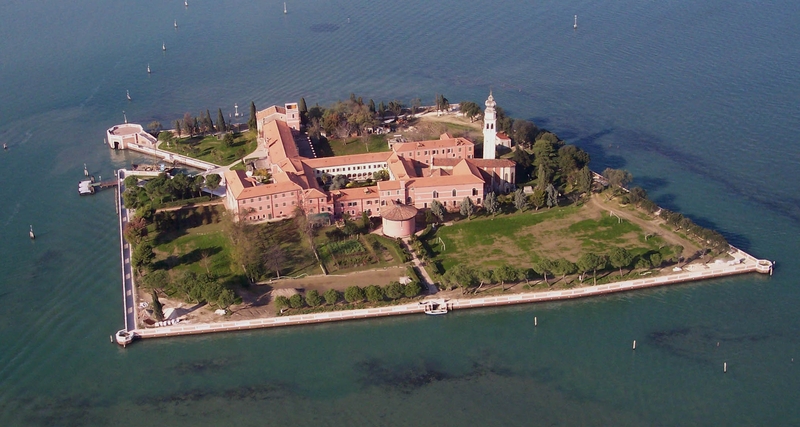 The island, seven thousand square meters of land, is located in front of the Lido (vaporetto 20, stop after San Servolo) and consists of a monastery with cloister and a garden full of trees, olive trees, pomegranates and the famous rosettes for jam of roses made by the monks. The walls are covered with bookshelves with 170,000 books, without counting the special library funded by benefactor Boghos Ispenian who holds 4500 precious manuscripts, such as The Book of Friday, 1512 and the work of a monk's life, the first dictionary of the Armenian classical language , published a few days after his death in 1749. The island, as demonstrated by the dozens of lynotypes still exhibited and used from 1789 to 1989, was home to an extraordinary multilingual printing press capable of publishing in 36 languages. A plaque in the courtyard reminds us of Lord Byron's stay in 1816, who fell in love with Armenian culture. Just in the Byron room today, the monastery houses a rare and rare mummy donated in 1825, covered with an embroidered mat with polychrome glass beads. 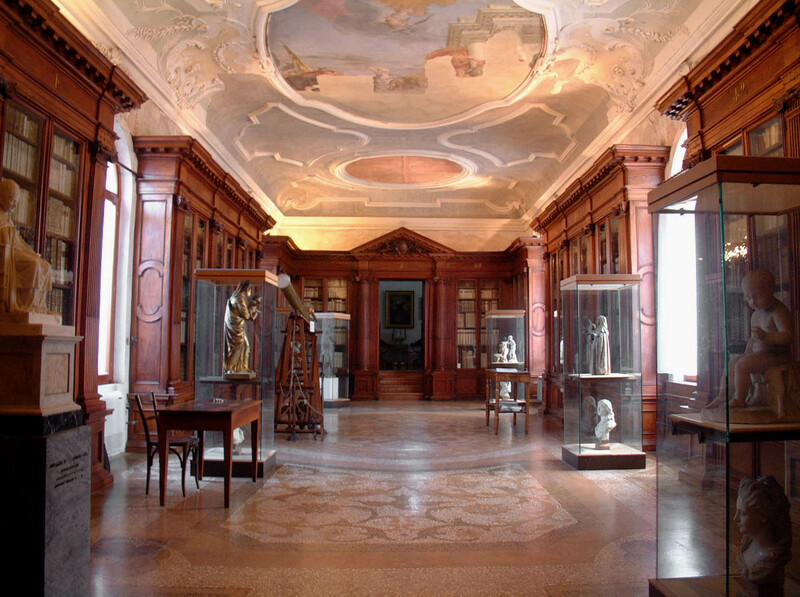 In the halls, a fresco from Tiepolo and many paintings by Pietro Novelli, the most varied testimonies and donations are exhibited: from the paintings of the most famous Armenian painter Ivan Aivazovsky to the bust of the savior of the traditional Armenian songs, Komitas Vardapet. In some veins also many writings of 1915/16. During the genocide, seven mechitarist monks died. "The library is an example of the importance of the press for Mechitar and the monks," explains Alberto Peratoner, professor of the Theological Faculty of Triveneto and a friend of the Armenian community, "we see the careful and aesthetic care of the text, the quality of the engravings, paper choice, the result was a very high quality product. " Mission: to fly. Today, those roots continue to bear the fruits that Mechitar planted 300 years ago. "We continue to be a bridge between Armenia and Western culture so that we can have the chance to fly, as the founder said," explains Father Serafino, a priori on the island. "Mechitar said that one has to have two wings: one is the Bible, religion and the other is culture and science." Love for study, the preservation of an inestimable cultural heritage, the spread and contemporary declination of an ecumenical style. There are at least these three pillars to hold, today and in view of tomorrow, the congregation of the Armenian Mechitarian fathers. They are three pillars that sink their roots in the past, but look closely at the future. Just as Sebasty's Mechitar had done, the Armenian Abbot who three centuries ago gave birth to a monastic experience that had its heart in the lagoon of Venice, on the island of San Lazzaro. The Monk Mechitar had been an innovator, and the religious of the congregation he created today can find, at three centuries, ways to decline the founder's innovative and evangelizing push in the present. Mons. Lévon Boghos Zekiyan, 73, is a prince of Constantinople and a pontifical delegate for the Mechitarist Congregation, as well as president of the Bishops' Conference of Turkey. 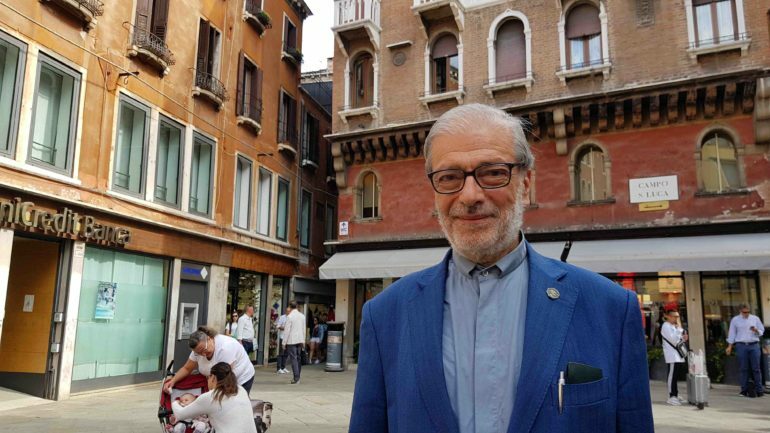 Bishop Zekiyan has a very strong bond with Venice, not only because he is entrusted with the congregation that has its historic center in San Lazzaro, but also because since 1955 he lives and works in the lagoon area. He was a kid, in fact, Lévon Boghos Zekiyan when he first came to Venice to study. And here he remained, until bishopric ordination, teaching for many years Armenian language and literature in Ca 'Foscari. But today, the three hundred years since - on September 8, 1717, Mechitar and his disciples settled on the island of San Lazzaro, given them by the Doge - it is about to carry on and innovate the substance of this three-century history . All this also to ensure the continuity of monks' presence. Today the congregation counts only 24, many less than the approximately 80 of which it had in the mid-twentieth century. The crisis of vocations, of course, is not a problem that arises only for Mechitarists: all religious families, albeit with different numbers and modes, are afflicted. But that is precisely why it is about giving the present lymph to the wealth that the charism of Mechitar has generated. A doctor of the Armenian Church, Archbishop Zekiyan remembers, says that love for study is an image of God's love. And this is made clear to those who experience it. This love for study, knowledge and research is still one of the underlying causes of the mission. In San Lazzaro, given the long history, it does all with the preservation and protection of a great heritage. There are more than four thousand, in fact, preserved manuscripts. After the National Library of Yerevan, the capital of Armenia, San Lazzaro is the richest collection of antique documents: "And from the point of view of the thematic variety - says Bishop Zekyian - the Venetian collection is the most important . So it's a treasure. So I often say that only to be able to preserve this heritage, benefiting from current criteria and techniques, is a sufficient mission for our monks. " But there is a third "pillar", as well as perhaps more essential to today: "Mechitar has had, as a forerunner, an ecumenical view of the Church. The centuries passed, following the tradition of the Armenian Church. " The founding monk has grafted, that is, the new on the ancient. And this is precisely the result that the Congregation is calling three hundred years later to show its relevance. Clarifies Msgr. Lévon Boghos Zekiyan: "Today's ecumenism is based on the distinction between the substance of faith and the language that expresses this substance. Language can vary, while the substance remains the same. This Mechitar principle supported him openly and explicitly. So I believe that the congregation, from this point of view, has a particular mission in ecumenical dialogue that can be enjoyed as a model for the universal Church. The congregation itself is a concrete and existential experience of this ecumenical principle. " And Venice is not alien to the genesis and vitality of this ecumenical style: "It is my hypothesis," argues the Armenian Archbishop of Constantinople, "but I am convinced that Mechitar could not survive, with this ecumenical ideal, in that post- tridentina, if it had not been to Venice. " PanARMENIAN.Net - As а native speaker of Armenian, it’s hard to imagine that people are capable of mastering your language so well that they can perfectly speak, write and express themselves in Armenian. Conversing with Benedetta Contin, an Italian scholar who has put her heart and soul into learning the Armenian language, I was amazed at her ability to convey her thoughts in such beautiful Western Armenian. Benedetta currently teaches old Armenian in Mekhitarist Congregation in Venice where Lord George Gordon Byron came in 1816 and immediately became fascinated by the beauty of the Armenian culture and language.